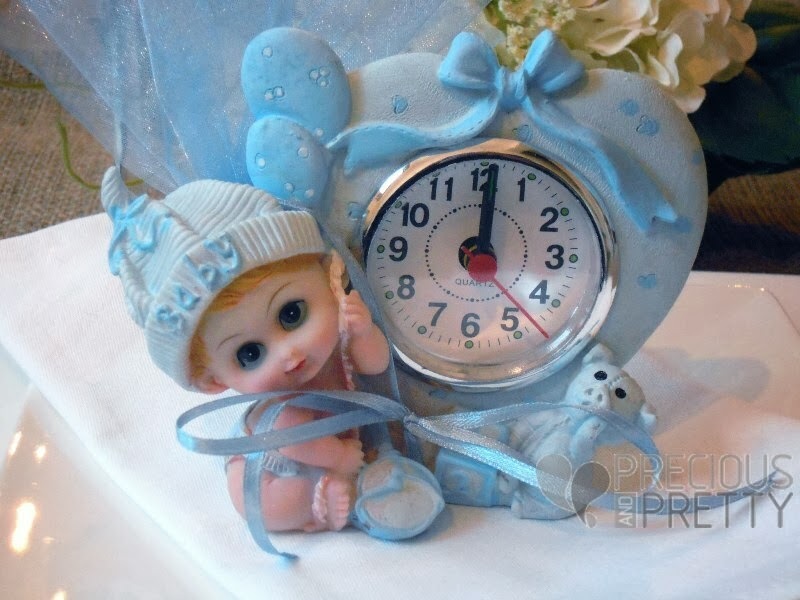 Romantic Greek Christening favors vintage clock in blue color for your boy's christening. It is tied with a light blue organza fabric, satin ribbon and containing 5 koufeta (sugared almonds). Available also in pink color. THIS ITEM IS OUT OF STOCK. PLEASE CHOOSE ANOTHER DESIGN FROM OUR BAPTISM FAVORS' COLLECTION HERE OR CONTACT US FOR A CUSTOM ORDER. https://www.preciousandpretty.com/2013/12/greek-christening-favors-vintage.html Greek Wedding Favors|Orthodox Crowns|Stefana|Baptism Invitations Greek Christening favors vintage clock B061 Greek Christening favors clock in vintage style with five sugared almonds koufeta. Product #: Greek Wedding Favors|Orthodox Crowns|Stefana|Baptism Invitations_224288272804996939 5 stars out of 5 reviews.